Dr. Drozd is the co-author, co-editor or author of several important books,.book chapters,and professional articles including Is it Domestic Violence, Alienation, and/or Estrangement: A Decision Tree; Safety First: Children in Domestic Violence Cases; Domestic Violence:True of False; and the Missing Piece: Solving the Puzzle of Self. Dr. Drozd is a graduate of the California School of Professional Psychology. She also holds degrees from the University of California, Santa Barbara and Los Angeles. She is a past president of the Orange County Psychological Association and has been honored by that organization with its highest reward, the Orange Psi Award for outstanding contributions to the field of psychology. She is the editor of the peer-reviewed, multidisciplinary journal, the Journal of Child Custody. Dr.Leslie Drozd is a licensed psychologist. She is a clinician, a forensic expert, a professor, an author, a researcher, and an editor of an international journal, the Journal of Child Custody. She has an independent practice in Newport Beach, California. She has conducted child custody evaluations for over 20 years. She works daily doing forensic work (including expert witness testimony, mainly in Family Law Court), seeing patients, teaching other professionals, or writing. She conducts post divorce work with families including reunification therapy when a child has rejected a parent. She works as a parenting coordinator and as a co-parenting therapist and she reviews the work of other colleagues and serves as a consultant to attorneys. Dr. Drozd is a well-known expert on family violence, abuse, and alienation - especially in high conflict divorce cases. She has spoken for the Association of Family Conciliation Courts (international, national, and state conferences) as well as at conventions held by the American, California, Arizona, Minnesota, Missouri, Orange, Los Angeles, San Diego, and San Luis Obispo Psychological Associations, Alliant University and California School of Professional Psychology, Argosy University, University of California, Irvine, and Harvard University doctoral program in the School of Public Health. She is the co-author of a bench book for judges in how to deal with domestic violence in child custody cases. 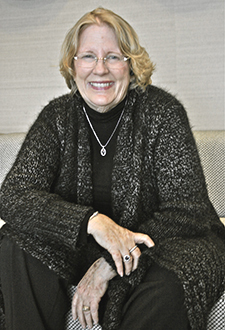 She has served on a joint task force and she has spoken at a national convention of the American Bar Association and the American Psychological Association on issues of alleged abuse, neglect, & endangerment, and she helped create the new Model Standards for Conducting Child Custody Evaluations for the Association of Family and Conciliation Courts.